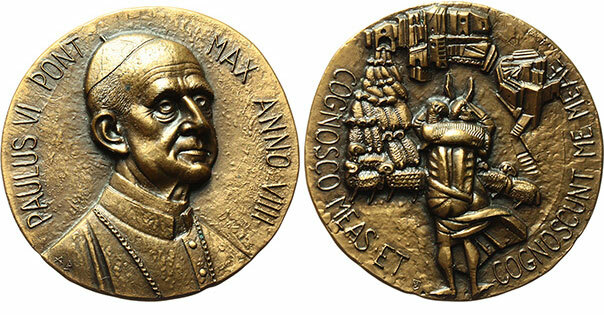 Official Vatican Annual Medal, Year IX, of Pope Paul VI. COGNOSCO MEAS ET COGNOSCUNT ME MEAE (I know my flock and he knows me). Reverse depicts the Good Shepherd. By Angelo Biancini.